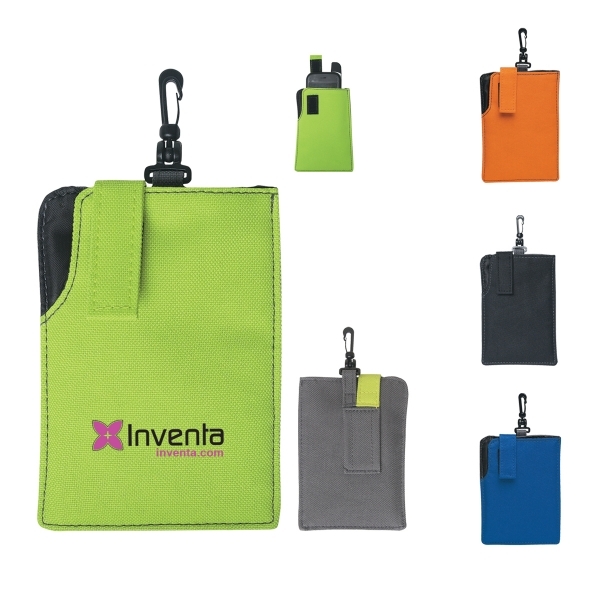 Our portable electronics case holds your PDA, Mobile Phone, MP3 Players and more. Made of tough 600 Denier Polyester it is designed to last. A swivel clip attaches most anywhere. Available in five material colors, all have a Gray back and matching flap.